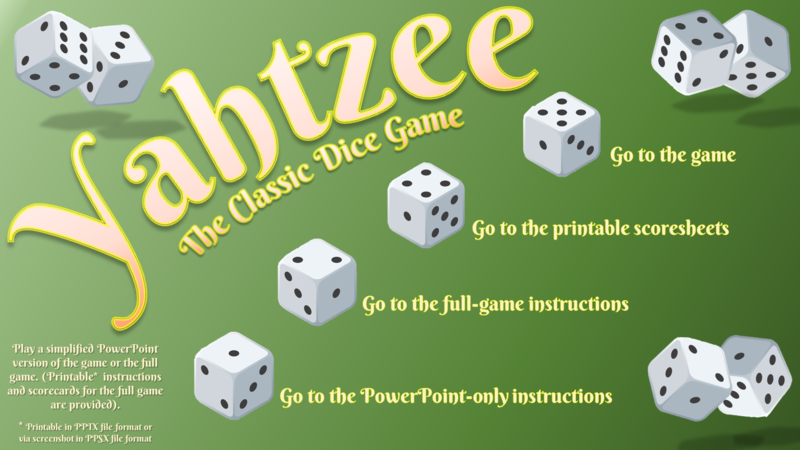 The classic dice game now available on PowerPoint. 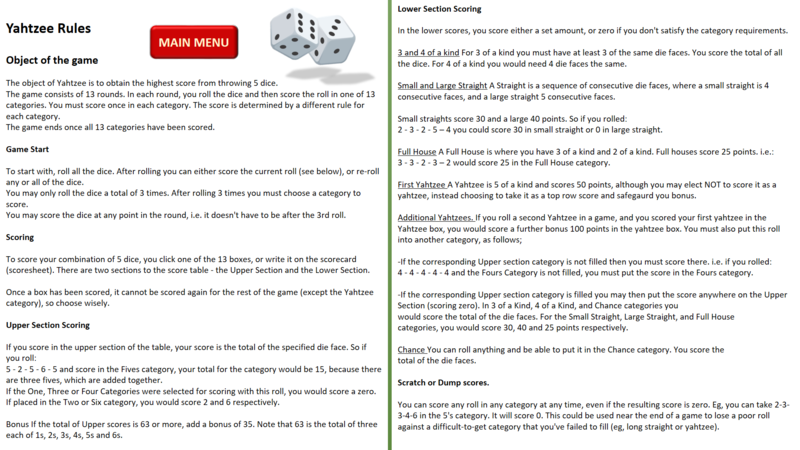 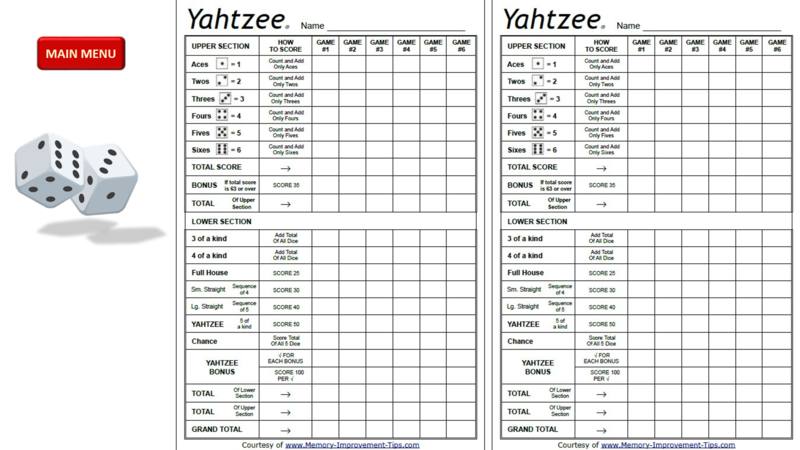 You can play the simplified ‘PowerPoint Only’ game, or play to the full rules, with scoresheets, which are provided within the game package. 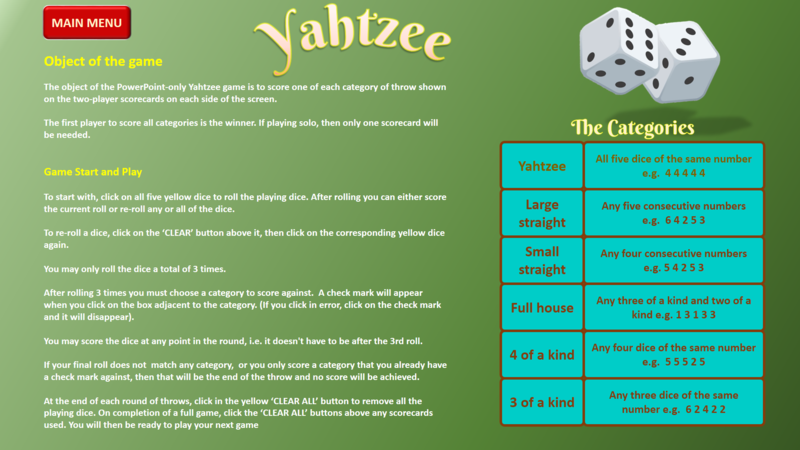 This is another game that makes extensive use of ‘Randomisers’ (see the two tutorials on how to make them for yourself).